Carel Fabritius was one of Delft's best and brightest... until he was all but vaporized in the Delft Thunderclap. The history of Carel's personal life is one big contradiction after another. Where some believe he took his name from the Latin for carpenter (because he scored extra cash as a carpenter boy), others are sure that Fabritius was just the family name. Depending on the source he was either Vermeer's or Rembrandt's most promising pupil. Fo sho, though, his brother and father were each much less talented painters. Also, Carel had a passion for tricking people with his work. He'd carefully craft illusions in his paintings that would look all wonky and out-of-sorts if viewed straight on. However, if the viewer saw them in a box through a little, glorious peep hole, bam! Instant fabricated perspective. Peep holes weren't always necessary for him to fake out the viewer, as evidenced by his most famous work: The Goldfinch, the painting at the center of Donna Tartt's mega-selling novel "The Goldfinch." Carel Fabritius had a short and hazardous life. First he escaped the plague that hit Delft in 1653, then he got killed a year later by The Delft Thunderclap. Some wise soul put the city's gunpowder depot in a former convent, smack dab in the middle of town. Such depots had blown in other cities, so really there was no excuse. When the Delft depot blew sky high it flattened a fourth of the city. Carel lived only a few blocks away and is said to have died at his easel while painting a little girl holding an apple. 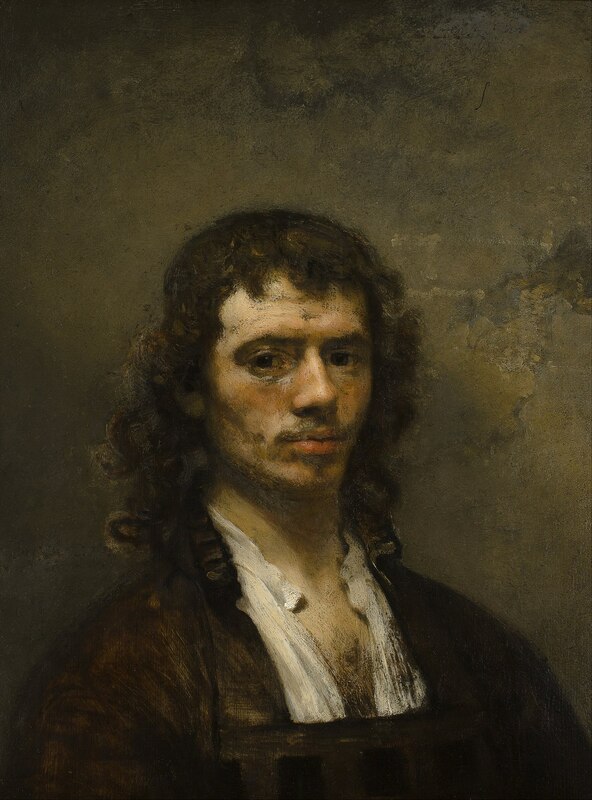 Not good because he was one of master Rembrandt's most promising students and much of his work was destroyed. We, the future generations, can count ourselves lucky though. It could have been much worse. Delft was a center for the arts in 1600s, home to the Delft School of painter that included Johannes Vermeer, he of the Girl with a Pearl Earing. Vermeer and others of the Delft School survived both the plague and the blast. Carel Pietersz. Fabritius (Dutch pronunciation: [ˈkaːrəl ˈpitərs faːˈbritsijɵs]; bapt. 27 February 1622 – 12 October 1654) was a Dutch painter. He was a pupil of Rembrandt and worked in his studio in Amsterdam. Fabritius, who was a member of the Delft School, developed his own artistic style and experimented with perspective and lighting. Among his works are A View of Delft (1652), The Goldfinch (1654), and The Sentry (1654). Check out the full Wikipedia article about Carel Fabritius.